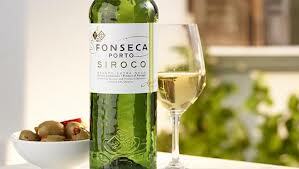 White Port is made from white grapes (Malvasia, Viosinho and Gouveio) and comes in two styles - dry and sweet. The sweet version is the traditional style of White Port and tends to be rich and grapey. Examples of these may last as long as some of the red vintage ports and make an excellent aperitif. They are best served slightly chilled with a plate of nuts. The sweetest examples are known as `lagrima' (tear) after the viscosity of the wine in the glass. Since 2006 age classifications of 10, 20, 30 or 40 years old can be used although these are rare. The drier style is a more recent innovation that is increasing in popularity; it is off-dry, often with a nutty hint, and is best drunk in its youth. Great when served chilled as an aperitif or with tonic water, ice and a slice of lemon or lemon peel. White Port is largely vinified in the same way as red (albeit with less or no maceration time). It is aged for around 18 months in stainless steel or concrete vats (and occasionally wood) before bottling and does not improve with ageing. Since 2006 age classifications of 10, 20, 30 or 40 years old can be used although these are rare. 10 year old White Port (Half bottle 37.5cl, presented in Kopke wooden box).